One guitar and a drum kit, photo by therockmom. 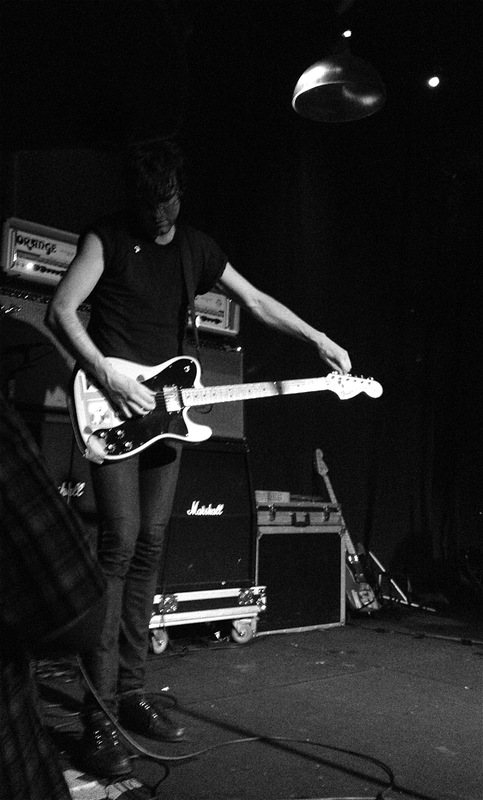 We had a bit of a scene: Japandroids in Hong Kong. And except for the price of beer (extortionist), we could have been in Seattle or Austin or Madison, Wisconsin. It was cool. I didn’t know much about the band before the show. But I found out that Japandroids are just two guys from Vancouver, Brian King (vocals, guitar) and David Prowse (vocals, drums) who’ve been around for a few years. Their album Celebration Rock ended 2012 on a lot of ‘Best Of’ lists, mostly on the strength of the big punchy song, “The House That Heaven Built”. I previewed two of their albums before the gig and had a pretty good feeling that they were going to be good live. I wasn’t wrong. Turns out that one guitar and a drum kit can do a lot of damage. This was the band’s first show of the year and their first time in Hong Kong. King said they wanted to make the most of it and were going to play as many songs as they could. And so they tore through song after song, with very little banter in between, just a constant assault of fast and furious punk rock. But it was what I call ‘women-friendly’ punk. There was a beat you could follow and bounce to and choruses you could pick up on; it wasn’t just angry guys and their anger. It was intense but fun. About midway through the set, the crowd starting moshing, bodies were picked up and handed round and King sweated and spat all over the stage. The Canadians in the audience wept with pride. Tune that guitar to awesome! photo by therockmom. This kind of thing just doesn’t happen very often in Hong Kong, and you could really feel the frisson of excitement in the crowd. An actual cool, current band was in our midst. A few obvious super fans were in evidence – the ones who knew the words to more than just the hit single. 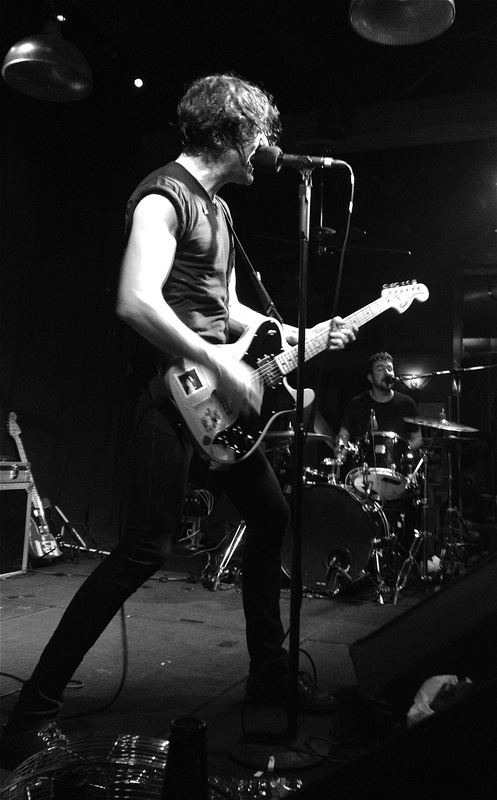 But most of us were newbies in the Japandroids world, experiencing a great band for the first time. And just happy to be out on a school night, beer in hand, live music playing. The Professional Kid – too big to fail? Hi McKenzie – thanks for reading. Japandroids were great! We had two weeks in a row of cool shows, at a place called Grappa’s and organized by a couple of guys who run a yearly music festival called Clockenflap. They’re starting to bring more bands to HK and you can check out the concert calendar and buy tix at: http://www.ticketflap.com/en/home/ We’re used to bigger bands coming to town and charging crazy prices for tickets, so it was nice to see a smaller show at a reasonable price. We went to two gigs (saw three bands) for less than what Blur is charging for one ticket for their May show. I’m hoping for more.